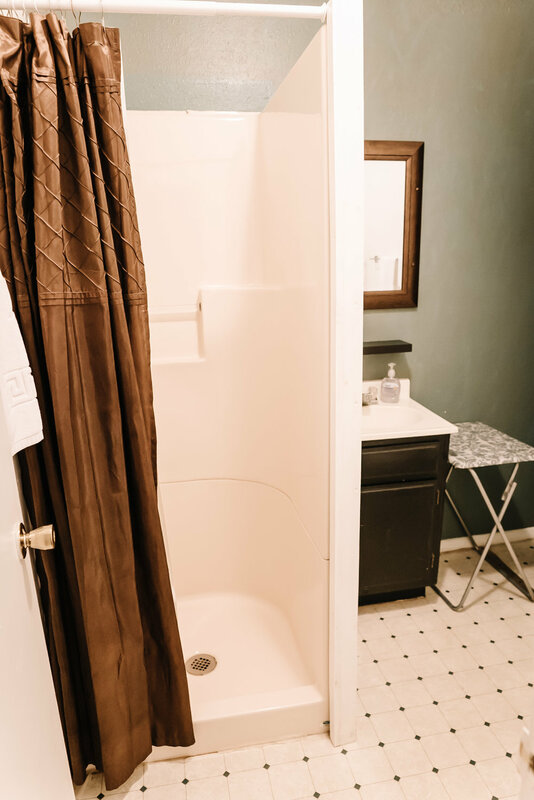 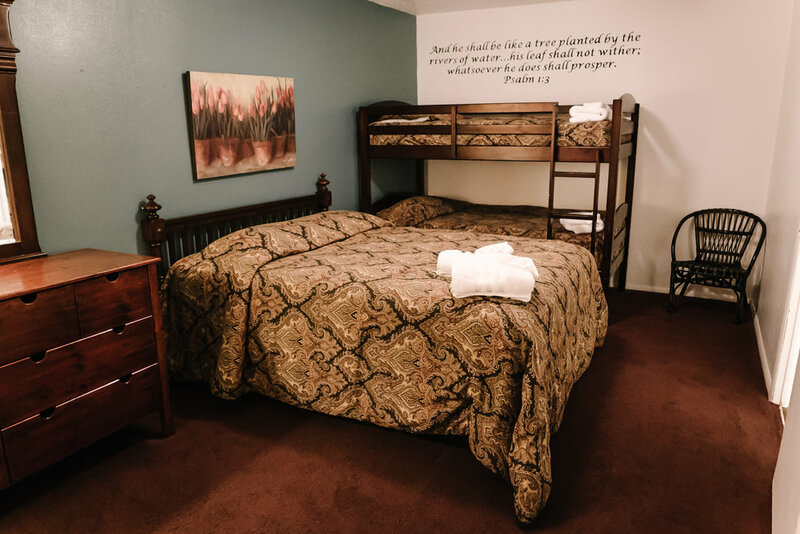 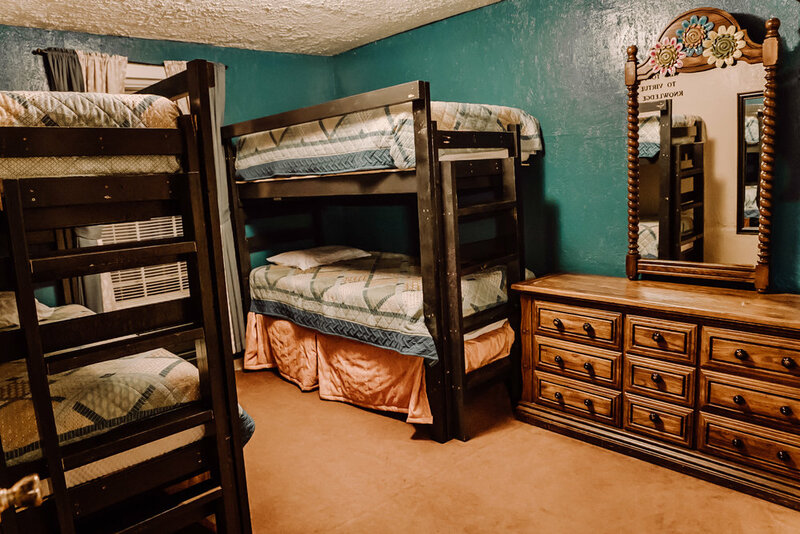 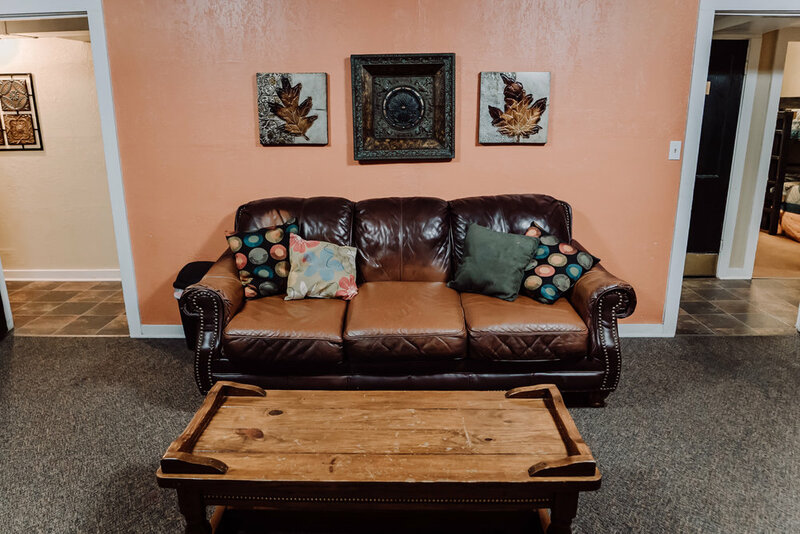 Dormitory rooms with shared ¾ baths and restrooms in lower level. 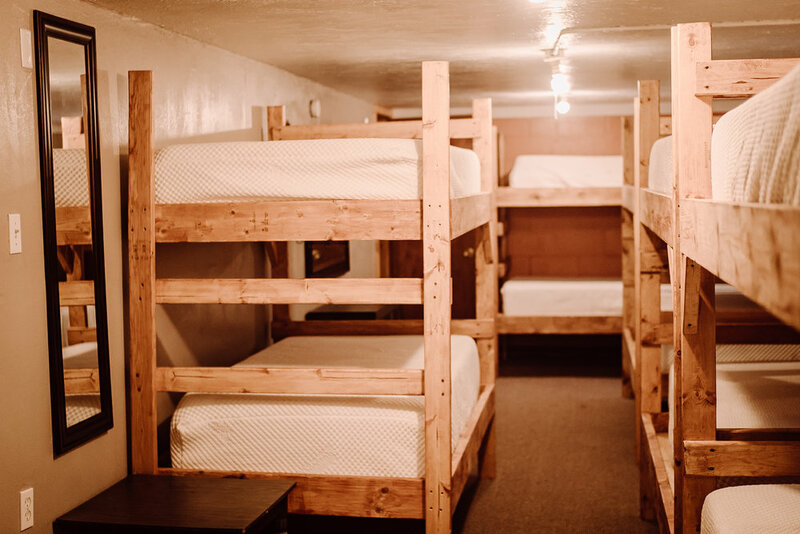 Varying number of bunks per room. 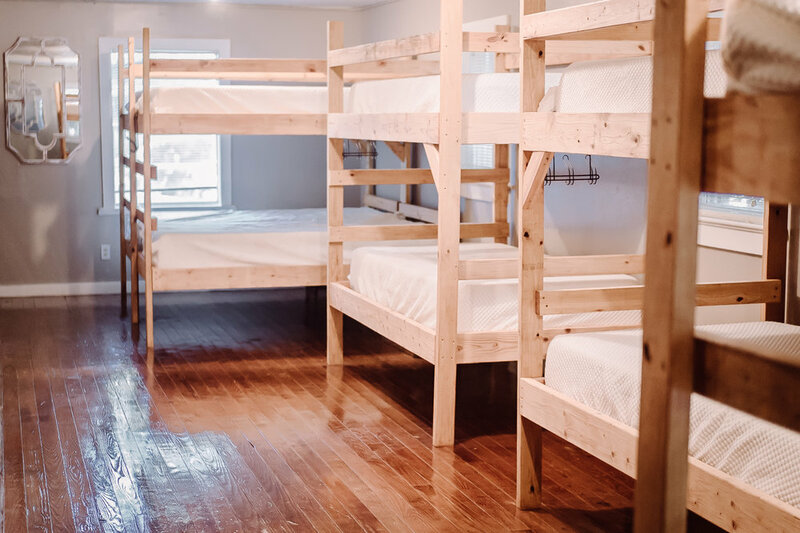 Two story dorm.